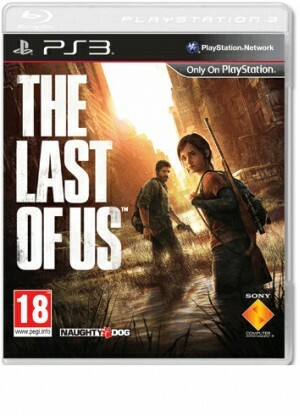 The Last of Us comes from Naughty Dog, the critically-acclaimed creators of the Uncharted series. This is a tale that could not be further from the daredevil adventuring of Nathan Drake, but one that highlights the award-winning cinematic storytelling, performance capture, and high-production values that Naughty Dog have become famous for. The Last of Us takes place in a bleak future, twenty years after a fungal infection has wiped out much of humanity, turning them in to mutated savages. Those who survived are not much better, with survivors huddled together in quarantined zones, struggling and scavenging for the remaining food, weapons - and anything else they can get their hands on. Joel is such a survivor, living a life of smuggling and black marketeering - and one with few morals. He's hired to transport a teenage girl named Ellie across the country, but what seems like a simple job turns into a desperate and profound journey across what remains of America. The Last of Us presents a familiar but dangerous United States, with Joel and Ellie experiencing a stunning but brutal country as they travel. Escaping their home in Boston, you'll explore an America that has been thoroughly transformed over the last two decades. Nature has reclaimed much of the land, with overgrown plantlife further devastating the ruins of the cities you travel through.